I was recently asked where I get my PCBs made and realized that many people do not know of the great online PCB services which are available to hobbyists. A few months ago I needed to get a PCB made for the first time in years and started the search for cheap places to get my board manufactured quickly with reasonable tolerances. 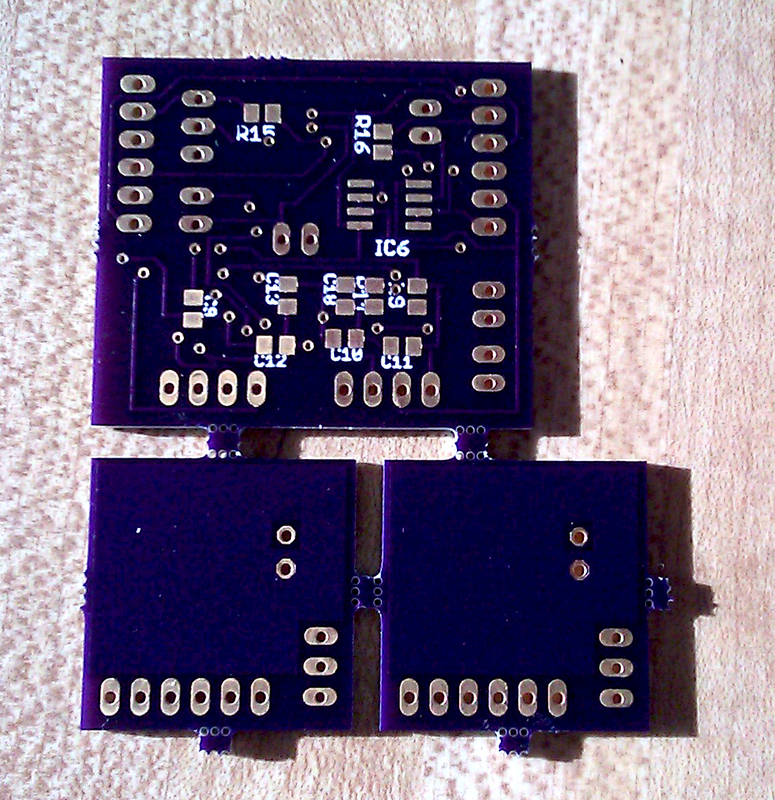 I needed small quantities of a duel layer, surface mount, board with solder-mask and silkscreen on both sides. This usually adds more money to a PCB order than I was willing to spend on my small quick prototype board. I found three services which met my cost requirements and did not have an unreasonable lead time. Here are my thoughts and a review on the PCB service I used. This was the first board house I found which has reasonable pricing and a simple online quote system that you do not need to sign up for. I hate those websites where you have to give your personal information in order to receive a quote. This option seemed to be the best for me while I was living abroad since shipping to Europe was the same as the US. I ended up not using this service because there was no information on the website about how long it takes get your board. The major benefit to using this service is that if you want medium sized quantities the pricing scales very well. Check out their online quote calculator. If anyone has used this service, send me a note or comment here. I'm very interested to see if anyone has had a good experience with this board house. This is a service run by SparkFun electronics and seems to be a great option when you do not need a board quickly. As with MakePCB, I ended up not using this service. On their FAQ page they say that it takes anywhere from 3 weeks to 4 weeks to receive your board. For the price this is very reasonable - considering most hobby projects are usually not time critical. One great feature of this website is that they save your board design and you can get new boards made at less cost; you can even sell your designs! The pricing is "$10 setup fee (shown as a handling charge) - $2.50 per square inch for 2 layer designs". This makes the pricing better for larger boards than the last service I mention here. This site has great reviews from a multitude of people. Check out this forum for more reviews and information on the service. This service works in a similar way as BatchPCB does. The person who runs the website fills up a large panel with multiple orders from hobbyists in order to keep costs very low. They are very helpful and answered all the questions I had; they also check to make sure your design is saved in the right format for their process and the boards are spaced properly. They send the boards out as soon as a panel fills up or a certain date has passed. Recently the boards have been filling up quickly and there has been more than one order per month. This service is great for very small sized boards, which is a major reason I used this site for my boards. My board size was slightly more than 4 square inches and my design was ready a few days before the panel was due to go out. The overall lead time once the panel is sent out, is about 2 weeks. This works great if you can plan to have your board ready a few days before the panel goes out. I received three copies of my board which can be seen in the previous two pictures. The solder-mask was purple (which looks awesome by the way), the silkscreen is clear and readable, and the boards work perfectly! The build quality was spectacular and I am very impressed. I HIGHLY recommend this service to anyone who wants a PCB made. Like BatchPCB they also have a 4-layer service. International shipping is also very reasonable. On a side note, my larger board (which can be seen in the pictures above) does have an MSP430 on it. The design uses a MSP430F2013 with the GND, RST, and TEST pins brought out through headers for programming. I hope some of you find this information useful and possibly end up turning one of your small projects into a real permanent "product". 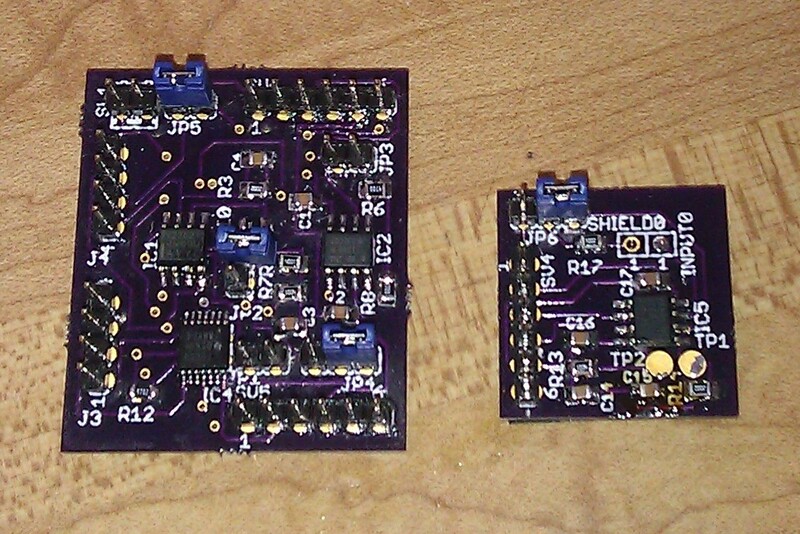 It's very rewarding to see one of your designs working on a PCB. If you have used any other great cheap services, comment away. Hey NJC, thanks for the shout-out! 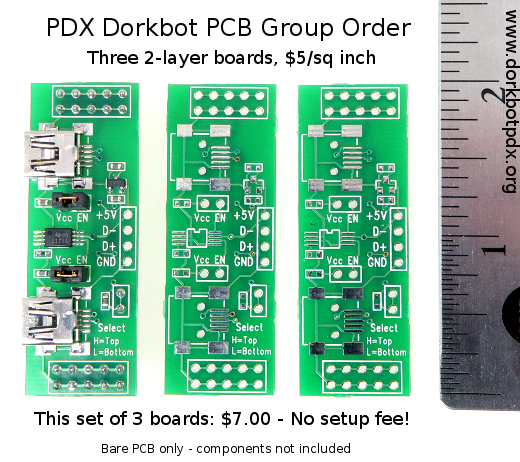 Glad you liked The DorkbotPDX board order. Laen was a huge help in making my first boards. I'll definitely use them again. I've never seen purple pcb's before. Nice writeup on the hobby boardhouses. Hi! I sure hope you read this post! Louis, if you look back to my previous posts I discuss how to use the internal temperature sensor. Two posts before this one will be the most helpful. Good luck! Lifehacker recently posted a link to a site that teaches how to make a PCB at home in a twist from the old fashioned method of silk screening and then acid washing to remove the excess copper, but using a laser printer instead of a silk screen machine. Not very useful if one doesn't have access to a laser jet, but otherwise quite a useful idea, I think. Thanks for taking the time to chronicle your experiences! Seeed Studio has a good hobby deal: 10 5cmX5cm boards for $20. They only test 5 of them unless you pay more, but the ones I got all look good and they even sent a few extra. Such a informative post for me as a pcb manufacture i like to bookmark it and share it with my friends who also design custom PCB. Can we make the PCB board with the Eagle file given in the wiki site, for research purpose. If so do we need to BURN BOOT-LOADER IC after making the PCB and soldering the components. If so WHAT all do I need to DO to make the board working after making the PCB and soldering the required components. Thanks a ton in advance..